Kata Sea Breeze Resort proudly presents Chef Songwut Monthirakanok ( Chef Aod ). 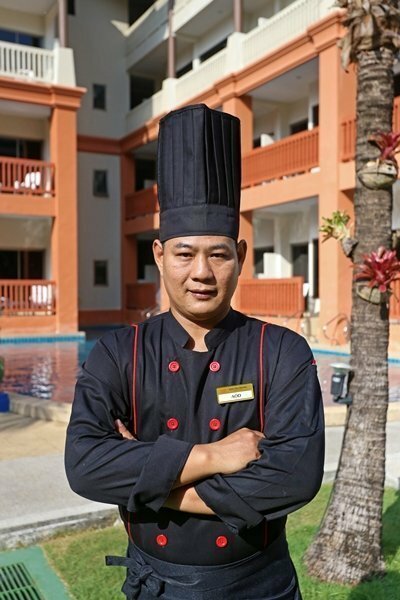 Chef Aod is a very experienced and talented chef who has gained cooking skill from many international hotel chains like Centara Sukonta, Six Sense Koh Yao Noi and Allamanda Laguna Phuket. Presently, Chef Aod has created various special signature dishes to our resort from his own skill.